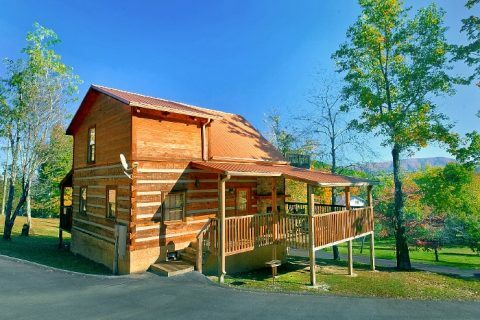 Take your family on an unforgettable Smoky Mountain family vacation and book this Wears Valley cabin that sleeps 4. 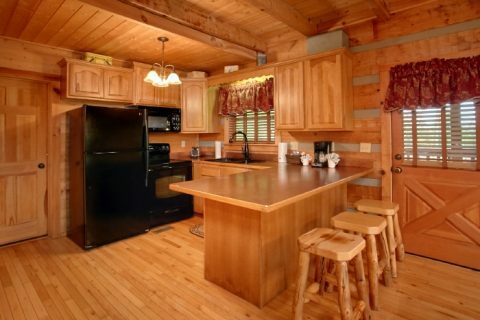 This cabin provides vacationers with a cabin near top attractions in the greater Smoky Mountains area. 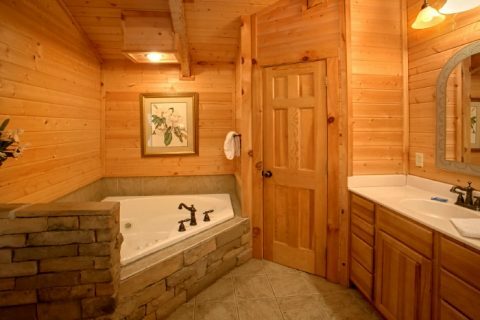 Additionally, your cabin provides a great space for relaxing on your vacation with cabin amenities including a hot tub and jacuzzi tub! 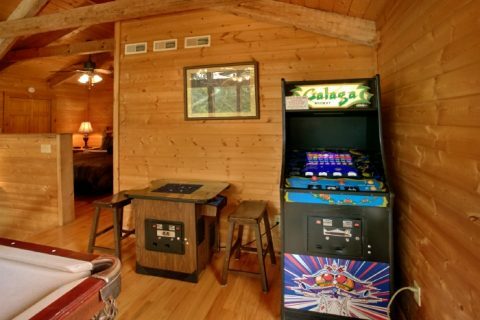 This 2 bedroom cabin in Wears Valley gives you and your family plenty of room to play, relax, and reconnect on your cabin vacation. The custom kitchen features splendid copper countertops and invites you to cook a family meal to eat together at the dining table. 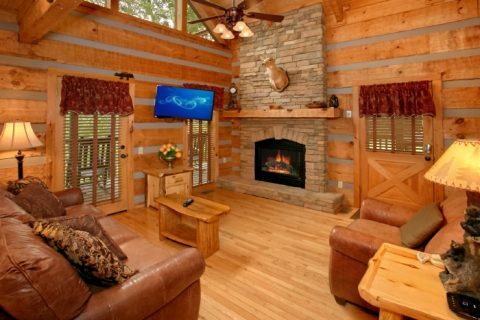 The living room provides the perfect space for swapping family stories with its seasonal gas fireplace. 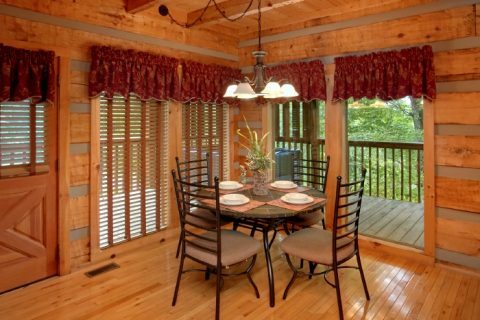 Outside, enjoy the beautiful scenery and fresh mountain air from your Wears Valley cabin. 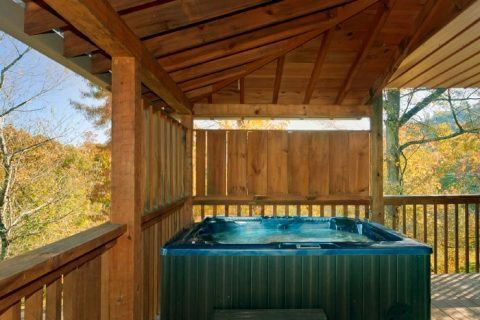 Relax in the warm waters of your hot tub. 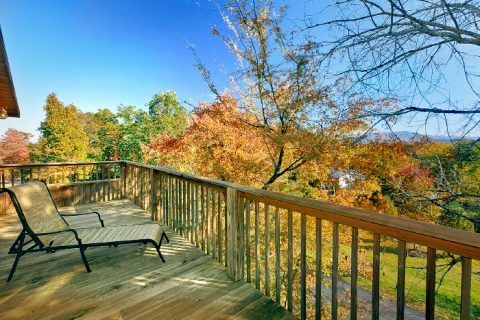 Enjoy a mountain breeze from your covered deck. Host a cookout on the charcoal grill. 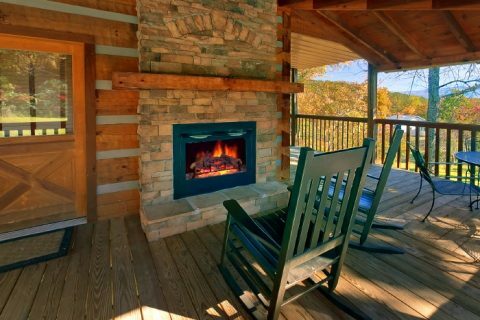 Gather around the outdoor fireplace on a chilly fall night. 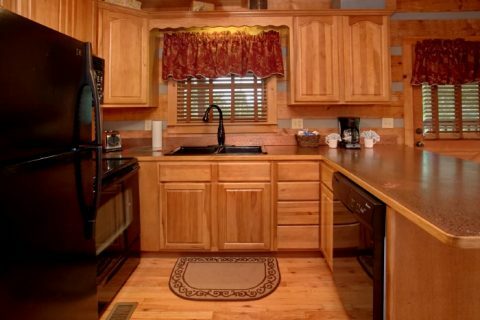 Use this cabin's WiFi Internet access to share great pictures of your trip with friends and family back home! 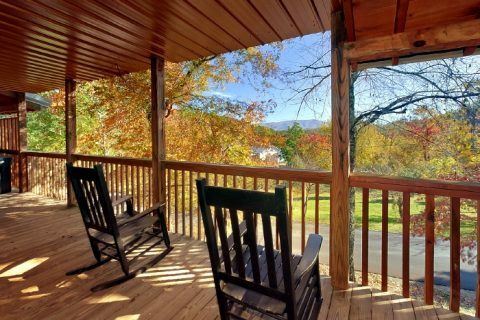 From exceptional shopping to delicious restaurants, entertaining shows to exhilarating rides at Dollywood, your cabin places you and your family near all top attractions. 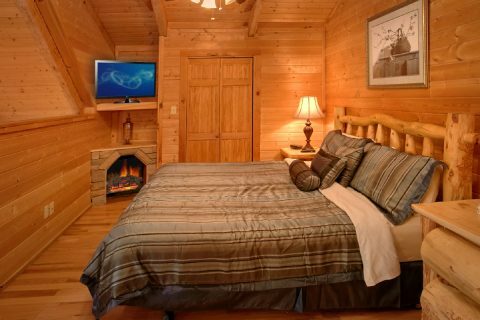 After a day of adventure in the mountains, you'll find more than enough space to rest your weary bones when you return to your cabin. 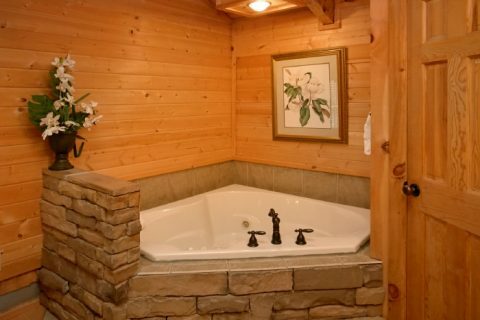 The luxurious master suite offers a king-size bed and in-room jacuzzi tub. 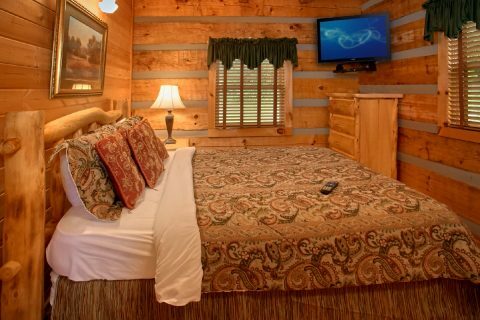 Your cabin also provides another queen-size bed for additional relaxation. 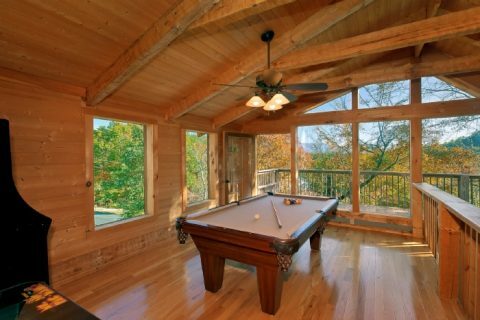 Book your Wears Valley cabin with a jacuzzi, hot tub, and more with Cabins USA today and start planning a Smoky Mountain family vacation that the whole family will remember for years!